Johnny-Five is an Open Source Robotics and IoT platform based on the IO-Plugin protocol. Released by Bocoup in 2012, Johnny-Five is maintained by a community of passionate software developers and hardware engineers. Over 75 developers have made contributions towards building a robust, extensible and composable ecosystem. The on-line Experiment Guide for the J5IK (that will be released when the kit starts shipping) contains step by step instructions of how to connect each circuit with the included parts. Full example code is provided and explained and even includes troubleshooting tips if something goes wrong. 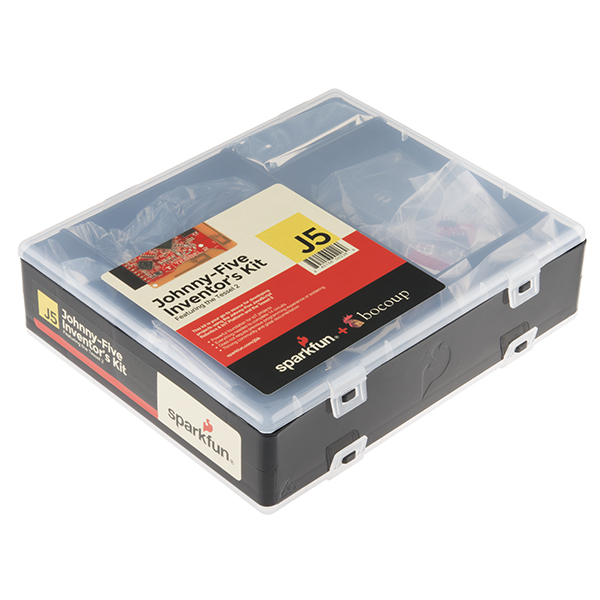 The kit does not require any soldering and is recommended for anyone comfortable learning new programming languages or if you are looking for an alternative to the original SparkFun Inventor’s Kit. Jumper Wires - M/M 6"
When is the expected availability of the shoulder mounted laser? Unfortunately, it is still about a year away. Maybe the first of April in 2017? Laser is ready to be mounted (some assembly required). You know, I have one simple request, and that is to have sharks with fricking laser beams attached to their heads! I will be working on this project in my home. I don't have much of a work area setup. Should I get an anti-static mat to do these projects on since the board is exposed? 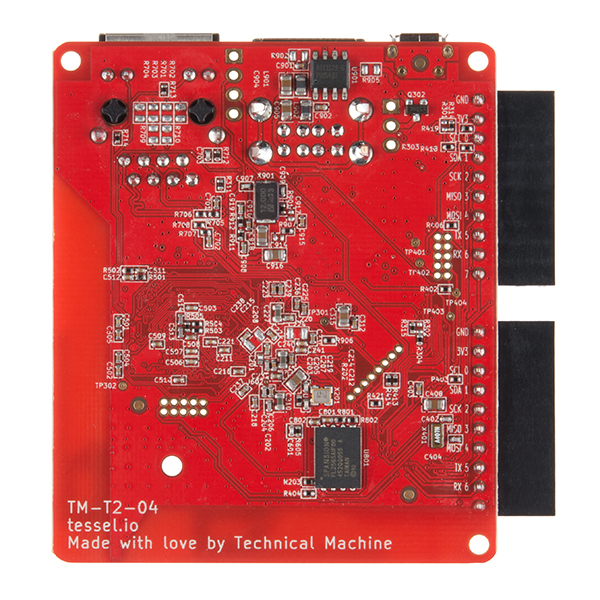 Or should I get some kind of case for the Tessel 2? Is one available? I'm just concerned with the board and other components getting damaged from static. Do I even need to worry about this? Hello, no static mat is required to work with this product, it is pretty durable, I have been programming and building with mine sitting on my couch on carpet and have not seen any ill affects. Same with the components included. In terms of a case, there is not one currently in production, but there are mounting holes on the board and a custom case shouldn't be too difficult to build, depending on your use case. That is great to know. Thank you! 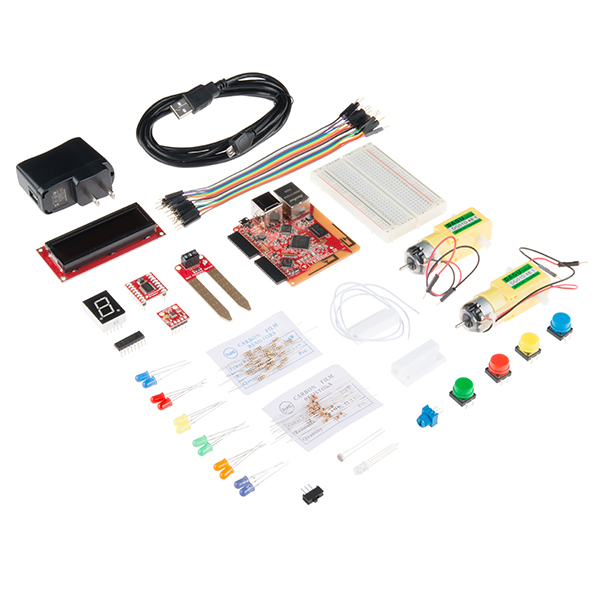 What kind of tools will be needed to perform the experiments with this kit? Should I look into getting a toolkit too? I'm a little biased because I worked on creating this kit, but this past weekend we had an event with 35 attendees, mostly high school students and a handful of professional web developers, that went astoundingly well. There was only a single attendee that experienced issues, but they were admittedly unfamiliar with the linux laptop that they brought. Everyone else at the event had a great time and really enjoyed their first experiences programming hardware with this kit. The Experimenter's Guide was crucial to their successâit had all the information necessary to get up and running and be successful! My daughter (4th Grade) and I have started playing with it together. We are already brainstorming for her science project this year in school. SparkFun has a lot of great beginners articles about electronics that I've been taking advantage of. Also I've been reaching out to the Tessel slack group for help with the actual microcontroller and other semi-related questions. They've been very helpful! I was not able to install the t2-cli package on Linux Mint 18 Cinnimon 64 bit. npm ERR! argv "/usr/bin/nodejs" "/usr/bin/npm" "install" "t2-cli" "-g"
I have also viewed on the github project site a number of the problem reports related to this issue. The thing that concerns me is the continued re-frame I see that these problems are not with the t2-cli software but with "permissions" on Linux. As a long time, open source developer, this attitude is totally unsatisfactory to me. 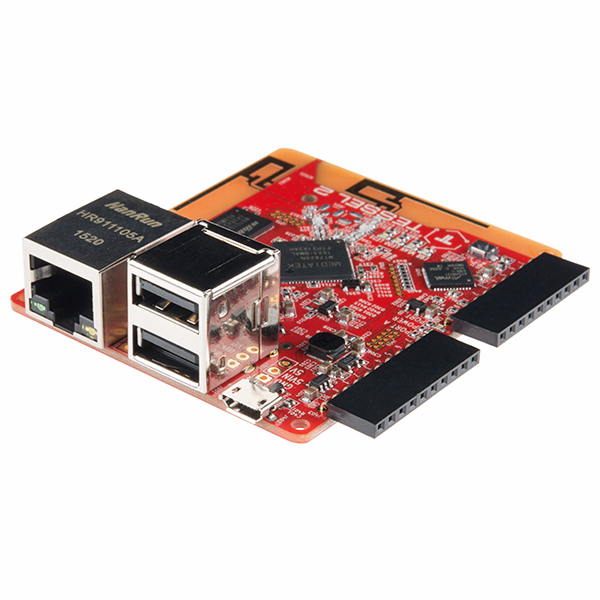 If Arduino can consistently release software that works with the USB interface on Linux machines, why cannot the Tessel.io team? If the Tessel team can resolve these problems in the future, then I might be interested.